Another new pub for me, this quality Fullers pub is another fairly hidden gem in an area that is more known for it's convention centre, student hostels and restaurants than quality back street locals . Being near Christmas this pub was full with Christmas parties when I arrived at 16.15 on a Friday afternoon, however within 20 minutes most of these left and the pub returned to a normal local. 5 ales on all from the Fullers stable, my pint of Wiseman @ 4.0% was very drinkable. Interesting light hanging from the ceiling in the main bar that looks like a spider! Decent pub but I've visited better today. Recently reopened after a refurbishment. Excellent food and a good selection of well kept cask ales. Worth a visit if you're in the area. I know what parkender and blue scrumpy mean - this is a typical London ex-boozer that has changed with the times, and not necessarily for the better. It's good that it's still in business, it's good that they have a range of decent beers on but it's not really a pub and certainly not the sort that you could call your local anymore. Saw this pub was in the latest Good Beer Guide and decided to try it out on Tuesday. 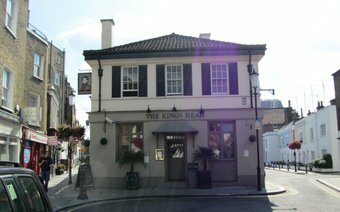 It has a nice location at the end of an alley and looks more like a village pub from the outside, rather than a city pub which is a stone's throw from the hustle and bustle of the Earl's Court Road. Inside, the pub is unmistakably London. It was fairly busy. I was looking forward to sampling the porter from Westerham that was supposed to be in. But in the event, they only had Westerham Audit Ale & Adnams Broadside. The Audit Ale was in good condition. Worth a try. 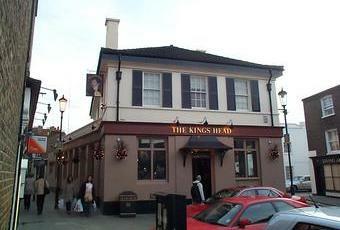 Went to the pub thee times when we stayed in Earls Court area. Excellent food and four real ales. Two from Thwaites, one from Adnams and porter. Went to quiz nite on Monday. Good fun. Best pub in the area.